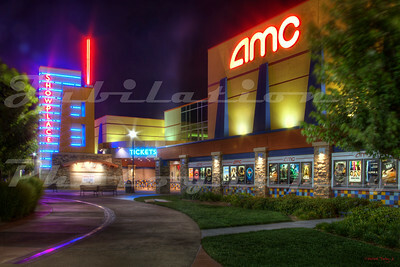 The competition for the most exotic megaplex. 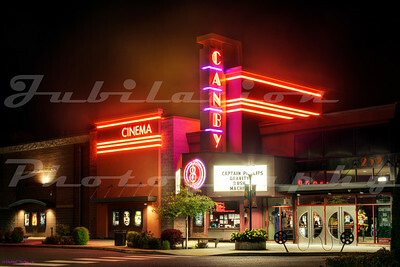 The Canby 8 Cinema, Canby, OR. Opened in 2009. 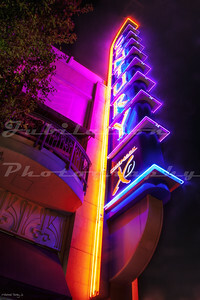 Personally, I like the architectural nod to Art Deco. 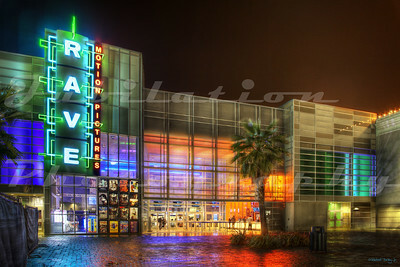 The Rave Motion Pictures Brentwood 14 in Brentwood, CA. Opened in 2008. 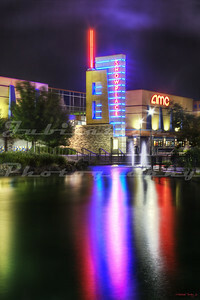 Recently became an AMC theater. 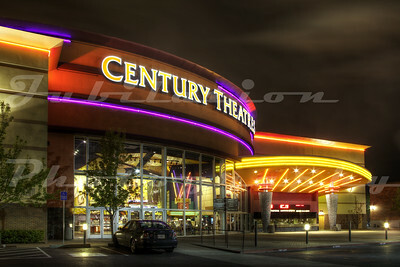 The Century Theaters 16, Pleasant Hill, CA. Opened in 2001. 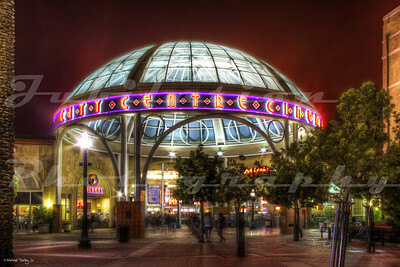 The City Center Cinema 16, opened in Stockton, CA in 2003. The Spokane Valley 12, Spokane Valley, WA. 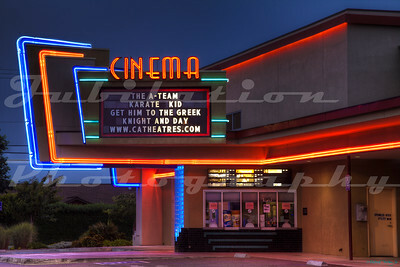 The AMC Showplace 16 in Manteca (English = Lard), California. Opened in 2008. 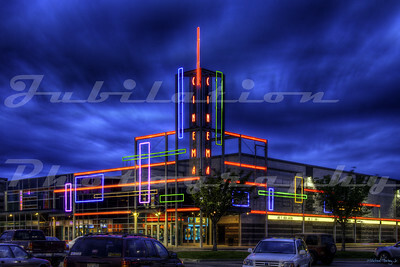 The Regal Movies 16 on TV, Hillsboro, OR. 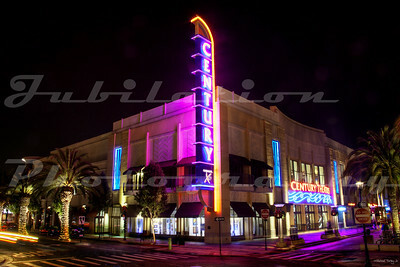 The Century Redwood City 20, Redwood City, CA. 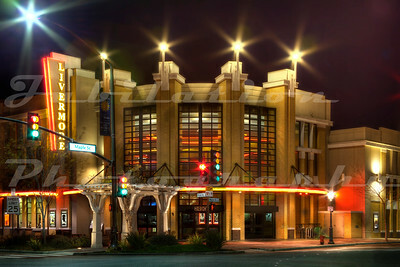 Opened in 2006 right next to the historic Fox. 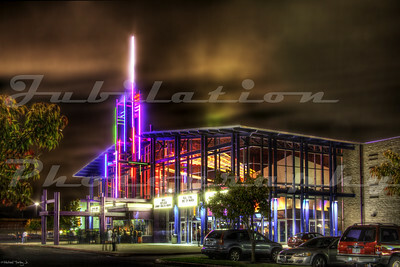 The Livermore 13 Cinemas, Livermore, CA. Opened in 2006. 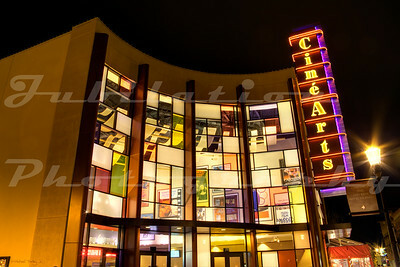 The CinéArts at Santana Row, San Jose, CA. Opened in 2004. 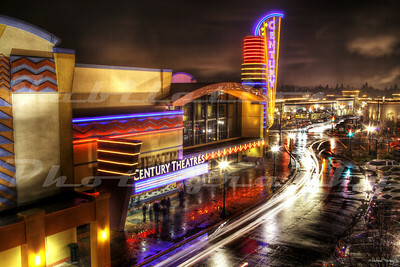 The Century Theatres Cedar Hills Crossing 16, Beaverton, OR. Opened in 2004. 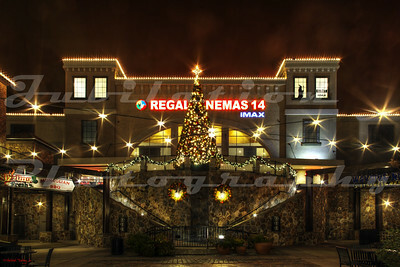 The Regal El Dorado Stadium 14 in El Dorado Hills, CA. Opened in 2005. 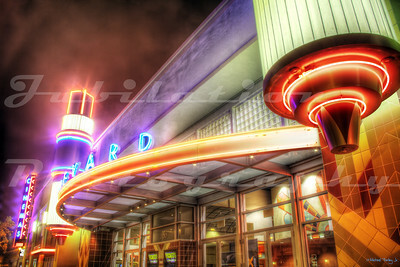 The Boulevard Cinemas, Petaluma, CA. Opened in 2005. 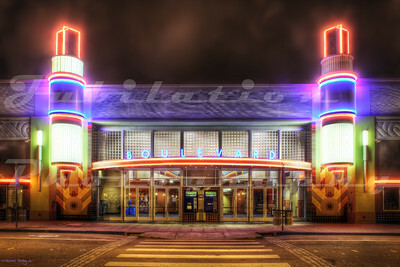 The Mill Creek Cinema, McKinleyville, CA. Opened sometime in the 2000's.